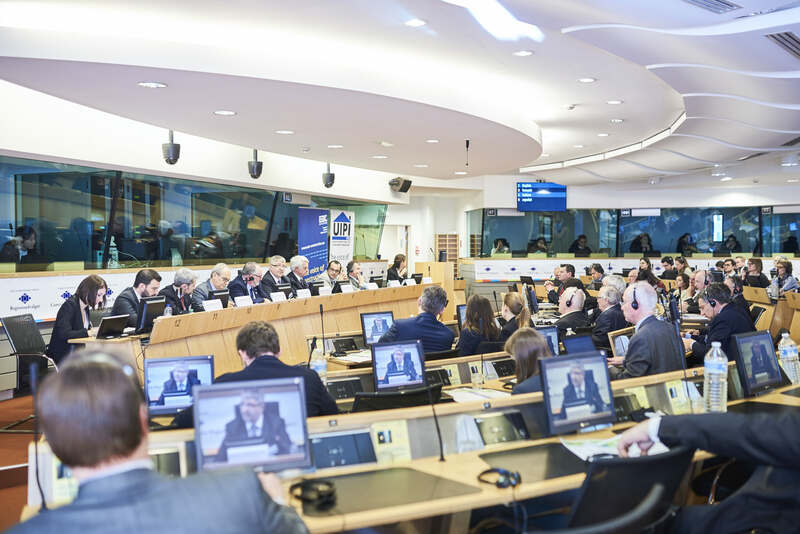 On 18 March 2016, the European Builders Confederation (EBC) and the International Union of Property Owners (UIPI) co-organised a workshop to learn how the Juncker Plan could be used to boost private investment in “small scale” energy efficiency renovation. For the first time, European associations of construction SMEs and private property owners joined forces to address the key question of how to finance energy efficiency retrofitting in the largest and most fragmented section of the European building stock: the privately owned residential sector. 75% of the square meters composing the European building stock are in residential buildings. SMEs carry out 70% of their activities in the residential sector. This means that small and medium companies, along with property owners, are the key actors for upscaling energy efficiency in homes. This seminar is the first one of a series of events. It explored the triggering potential of the European Fund for Strategic Investments to increase renovation in the private housing stock. It brought together more than 140 participants, representing the stakeholders having an interest in energy efficiency in the building sector. Watch the short video and the photos of our event! EBC-UIPI Workshop – Retrofitting the private housing stock: Is the Juncker Plan a solution?